What SoundCloud Triggers and Actions are Supported? 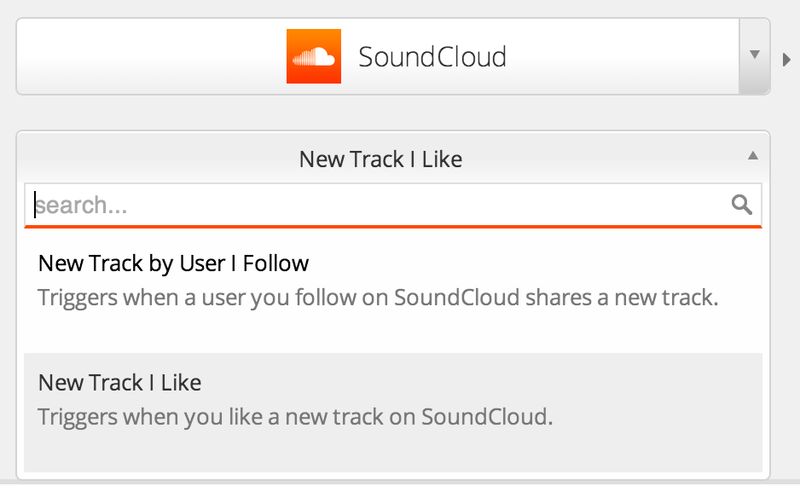 New Post by User I Follow - Triggers when a user you follow on SoundCloud shares a track. New Track I Like - Triggers when you like a new track on SoundCloud. Get started using SoundCloud in your Zaps by choosing the trigger or action you want. Next, you'll need to connect your SoundCloud account to Zapier. Start by clicking the "Connect a SoundCloud Account" button. Give your account a name so you can easily recognize it later. 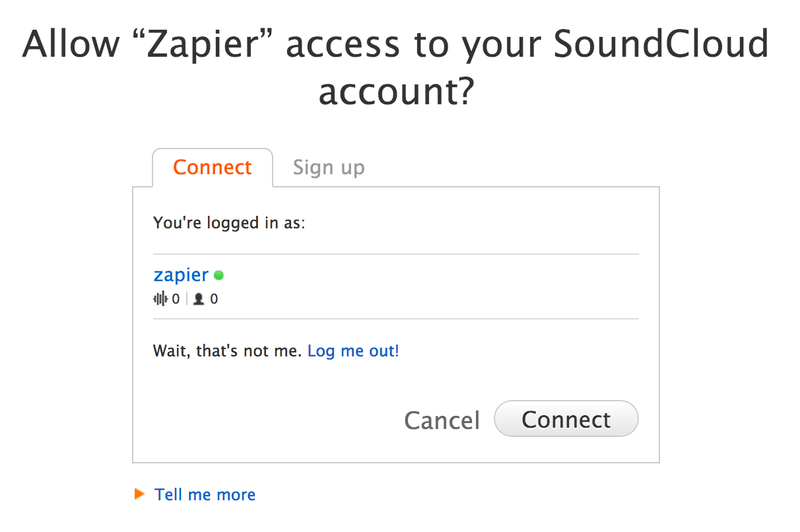 Once you click "Continue", a new window will popup where SoundCloud is asking for your permission to connect with Zapier. Click the "Connect" button. The popup window will close, and your SoundCloud account should now be connected and ready to use in your Zaps! There is a known bug with the SoundCloud API that causes trigger data to always return an inaccurate playcount value. The value is consistently lower than what you see on the SoundCloud website, and sadly there is no apparent fix at the moment.